A fun and casual fashion designer, specifically focused on producing maternity clothing that looks anything but like maternity clothing, visitors to the Hatch Collection online boutique will be able to shop the full collection from this design. New bases are added on a month-to-month basis, but major overhauls of this company’s catalog are happening on a quarterly basis. Seasonal merchandise is advertised on the New Arrivals section of the site, and outgoing seasonal merchandise can be found in the Sale section at discounts of up to 50% off. 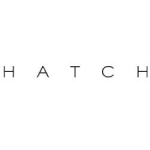 Sign up for the free email newsletter from Hatch Collection to get a 10% off discount on the first purchase made here.